Sir Frank Newson Smith, 1951. Mrs N.F. Beckett; Sotheby's, London, 26 March 1975, lot 219 (£200 to the present owner). G. Reynolds, The Early Painting and Drawings of John Constable, New Haven and London, 1996, p. 227, no. 16.70, pl. 1334. Connoisseur, March 1952, p. 6. Manchester, Manchester City Art Gallery, Constable Exhibition, 1956, no. 2089. 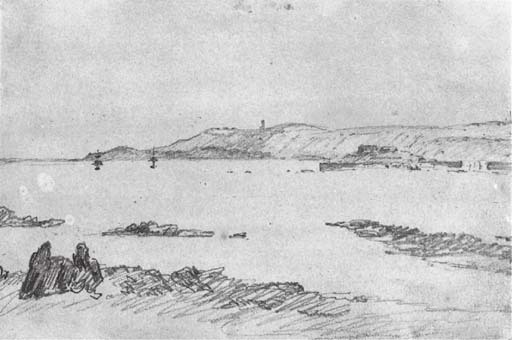 This drawing is taken from a sketchbook used by the artist on his honeymoon in 1816.